This month Beacon Hill Partners is excited to host fitness expert and YouTube sensation Sarah Dussault of SarahFit.com. With over 120 million views on YouTube, Sarah’s spent her career helping people get fit and stay motivated. She’s been featured in Self, Women’s Health, Men’s Health, Glamour, Shape.com, FitnessMagazine.com, Boston Magazine and more! This rockstar Bostonian is a published author and personal brander extraordinaire. 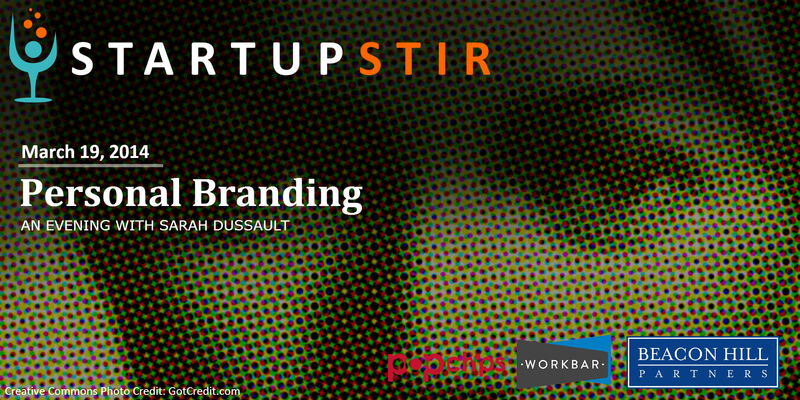 She’ll be sharing tips on how to establish and maximize your brand online. Special attention will be given to social media management, partnership opportunities and expanding your market reach. Check Sarah out at https://www.youtube.com/user/SarahsFabChannel and come prepared to learn how you can up your online personal branding game. Startup Stir is a place for professionals from all industries to exchange knowledge over some brews. Our monthly seminars cover a range of topics that are pertinent to small businesses and entrepreneurs. With guest speakers, free food and beer, and an exchange of knowledge, what’s not to love? Here you will sharpen your skills, learn something new, and creatively collaborate. Come grow your network and stay on tap!